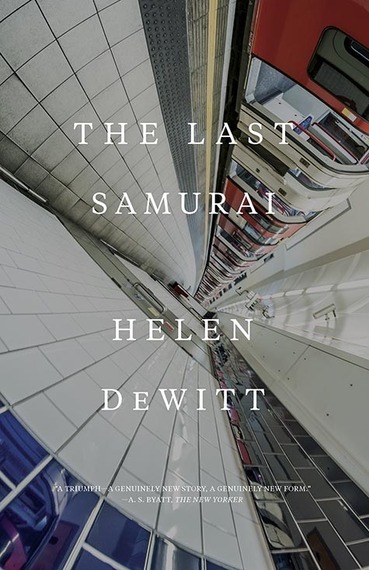 A Masterpiece Returns: An Interview with Helen DeWitt, Author of "The Last Samurai"
A series of accidents brought me to Helen DeWitt's The Last Samurai. A friend from Twitter invited me to a New York book party in 2011 to celebrate the release of her novel, Lightning Rods. Once there, the generous people at New Directions pressed a copy of Lightning Rods into my hands. What struck me as most remarkable was that this oddball story, which was more a satire than story, was as compelling as a thriller. So when I saw cover quotes from the likes of A. S. Byatt that lauded DeWitt's earlier work, The Last Samurai, I thought I might as well check that out. Well. That was destiny. 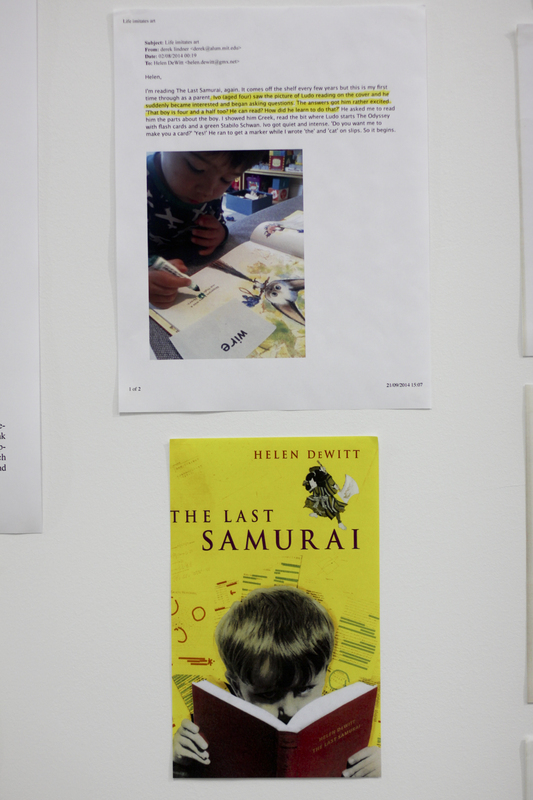 The Last Samurai is a book everyone should be talking about. Hell, it should be taught in schools. Due to an ill-starred publishing history, The Last Samurai disappeared from shelves until this May, when New Directions reissued the novel in a beautiful new edition. And I want to tell the whole world, because it is just that extraordinary. What is The Last Samurai? On one level, it's a quest: A boy's search for his father. On another, it's an intellectual powerhouse featuring multiple languages and references across the spectrum of literature, history, the arts and the sciences. It's about a passion for ideas and how this can overlap with an equally compelling passion for meaning--with frustrating and sometimes even tragic results. It's laugh-out-loud funny in unexpected ways. At the heart is Sybilla, a single mother--tormented, brilliant, and frequently hilarious--who accidentally molds her son into what we would consider a genius. By age of four, Ludo is reading Greek. And this is where it begins. In this interview, Helen talks about the process of creating The Last Samurai, the shifting and elusive character of Sybilla, Kurosawa, and much more. Every book has a starting point, and The Last Samurai in particular is so complex and rich that it's hard to see what it grew from.The final product reads like a piece of music played by a virtuoso. But it all must have begun somewhere. Can you talk about the genesis of this book? In June 1995 I quit the latest of many jobs I had taken to try to leave space for writing. I was going to write till my money ran out. (I had about £3000 in the bank.) I was very depressed. Seven years after leaving Oxford I had 100-odd fragmentary mss and not one finished book. 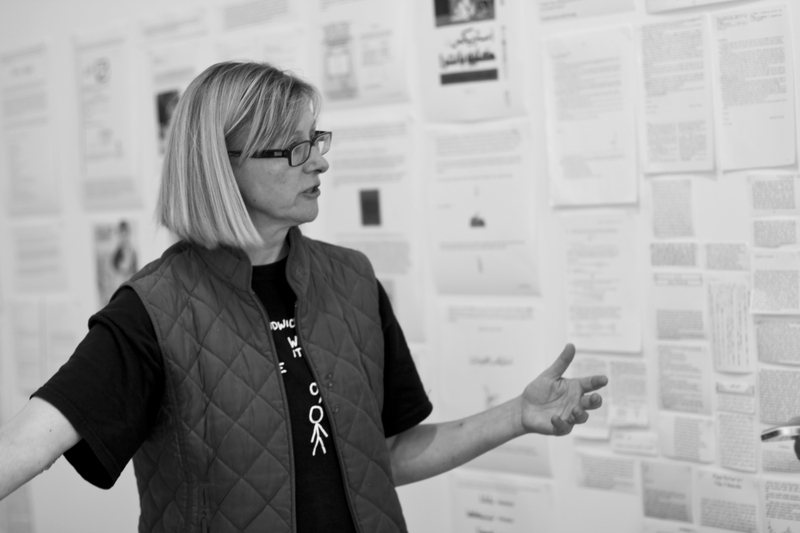 There was one very ambitious book, inspired by The Good, the Bad, and the Ugly, which was up to 300 single-spaced pages and had serious structural problems, the result of being worked on piecemeal. I hoped the money would be enough to let me pull it together, but I was very very tired. I then got a call from my father who began haranguing me for being depressed. He was outraged, screaming at me because I was not upbeat and full of hope. By the time we hung up I was in a much worse state. Instead of using my money to finish a book I was paying rent for a room where I could stare at the wall. I thought: We don't pick our parents. If we could, I KNOW I would have picked something better than YOU. I then began thinking about what it would take to pick a parent - how would that be possible? At what age? Would it make a difference if a child had unusual intellectual maturity? Had perhaps had the kind of training given J S Mill (taught Greek at the age of 3 and so on)? And if the child COULD choose, wouldn't it have to persuade its choice to agree? (I thought of that film, Six Degrees of Separation, in which a young man claims to be the son of Sidney Poitier and charms parents in a way their children don't.) And I thought of the recruitment sequence in Seven Samurai, when villagers look for samurai to protect their village from bandits. I suddenly thought: What if a child did not know who his father was and imagined a hero? What if he found out and his father wasn't a hero? WHAT IF his single mother had used Seven Samurai to provide male role models, so that he had been immersed in the film from an early age? (This struck me as funny; I began to laugh.) And WHAT IF he appropriated the famous recruitment sequence? What if he decided to pick a hero, hunt him down, and put him to a test? (I won't share the test, since I had better leave SOME surprises for those who have not read the book.) For years, remember, the boy knew only that his father was a travel writer; he thought of every impressive explorer (Thor Heyerdahl, Roald Amundsen...) that this might be the one. So he had a wide range to pick from. Many possibilities for things to go horribly wrong. As a writer I often find it comforting to hear that a masterpiece underwent revisions and fine-tuning before it coalesced into what it would become. I think Sybilla is one of the great characters of contemporary literature. How would you say Sybilla's character influenced (or complicated) the novel's structure? On the one hand, as soon as she became flawed and tormented it seemed important to have a little of her background. In my mind I saw embittered parents robbed of the chance to make the most of their own talents, in each case in part of parental intervention - incorporating this made the narrative unbelievably dense and complicated. Finally I decided to be ruthless - that is, not to worry about seamless integration, but simply put part of it in a prologue. I now know that this is generally frowned on: starting with a prologue is a good way to ensure that agents won't even look at a book. But this was before the Internet; you could do what felt right for the book with no sense of wilfully flying in the face of conventional wisdom. On the other hand, various radical decisions that shaped the story (to raise a child according to the precepts of J S Mill and Yo Yo Ma, to allow the child to leave school after one month) seemed to need some explanation. So - oh God, oh God, oh God - in early drafts there were endless pages of Sibylla editorializing. This was horrible. Unspeakably horrible. (By "unspeakable" I mean that the word "horrible" does not convey how tedious it was, how interminably the pages of opinionating seemed to go on.) The way to fix this, I thought, was a) to place her principles in constant conflict with the reality of the small child and b) to have her attempts at a reasoned master narrative broken up by the incessant interruptions of the Infant Phenomenon. First there would be a battle between her voice and the voice of the boy, then a 6-year-old voice would take over in a diary (so one saw this grand educational project only from the point of view of the guinea pig), then the narrative would leap to voice of the 11-year-old, when he was about to start his quest. Having this variety of voices and texts did seem to give energy to a book which had been, as I say, unspeakably horrible, but it did make it more complicated. You have a background in Classics. Do you think that played into the mythic structure of the novel's final third? No, that part of the book was dominated by Seven Samurai. (I was interested in the way the recruitment sequence reveals moral qualities as much as skill.) My background in Classics had a different influence on the book. Most readers will not have had the chance to try Greek at any age, let alone 4, when little Ludo begins; it would be fatally easy for the reader to imagine that a child mastering this esoteric language must be a genius, a prodigy, a special case. But Mill thought any child could do what he had done, given the same method of instruction, and the fact is, we simply don't know - most children aren't even taught the alphabet. (This is really, as you can see, another twist on the fact that we don't pick our parents.) I could obviously not give a blow-by-blow account of little Ludo's early education, but it seemed crucial to demystify this a little bit. Suppose a child can read English (many do at an early age). And you then start spelling English words in Greek letters that are similar: ατ εατ βατ βεατ ιτ βιτ ουτ αβουτ and so on. Most readers, I think, see at once that they get this now and could in fact have got the hang of it in elementary school. Greek has some letters we don't have, and the grammar is more complicated, but the fact is, the reason it looks impenetrable is that no one ever bothered to explain. So they're arbitrarily cut off from one of the great literary repertoires of Western civilization. It feels natural to be daunted by ANY language in an unfamiliar script; it does not feel natural to say: I learned one writing system at the age of 6, how hard can it be to learn another? I'm afraid many editors thought there was too much Greek (and Old Norse, and Japanese...) in the book, but even readers who did not like it have said they realized they could read Greek. This matters to a classicist. I don't think children should be made to learn this or any other language; that's quite different from allowing them to think it is the the province of the upper class, the privileged, or a little genius who won an obstinate parent in the lottery of life. When you say you were interested in the way the recruitment sequence reveals moral qualities--yes! This is an angle to the book that seems to get lost sometimes when people talk about how it is "about brilliance." Not to say that the book is a morality play...but without question it's an exploration of values. I was intrigued by Sybilla's outrage that the Seven Samurai of Kurosawa's film were an "elite band"--I admit the reason for it escaped me. I would love to hear more about this, if you'd explicate it. Kurosawa, it seems to me, goes out of his way NOT to assemble an elite band. (In this Seven Samurai is quite different from The Magnificent Seven.) Kambei, the leader, says he is nothing special: he has merely had a lot of fighting experience. Shichiroji, his former henchman, lost sight of in a terrible battle, simply managed to escape. Gorobei distinguishes himself by, erm, seeing through the recruitment trick (he's supposed to rush through a door to a fight when someone is hiding behind the door with a stick, dodge the blow -- and stands laughing in the street). Kyuzo, the master swordsman, IS exceptional (he's not interested in fighting, he only wants to perfect his art) - but he is exceptional among the band as well as in relation to the rest of the world. Heihachi, found chopping wood to earn a meal, is asked how he has got through so many fights. Answer: I usually run away. While Kambei is assembling this band of decidedly mixed ability he is followed by Katsushiro, a dazzled young aristocrat from a samurai family; he doesn't want to take Katsushiro because he's too young, and is talked into it. Treat him like a man, he'll become a man, says Heihachi - but in fact, once they reach the village, the samurai tell Katsushiro in one episode after another that he should stand by and watch (which he obediently does). A phrase like "extreme social stratification" makes me think of the recurring theme of Ludo's quest for a parent who would pay his way through a prestigious school. Later in the book are examples of men who excelled within the academic structure--and they are not good men. I'm not sure if I have a question here, but I'm interested in your thoughts. I've touched on this earlier, but-- I suppose one aspect of his interest in a school is his growing awareness that there are things he can't do on his own. But there's also an element of showmanship in succeeding in a prestigious environment -- if he can't go up the Amazon with a father he might as well go to Cambridge at the age of 12. What he doesn't entirely allow for is the way gaming that system can lend itself to gaming the social system; intellectual brilliance is no guarantee that successful gamesmanship will not be used unscrupulously. But then, of course, a knack for gaming systems is not in itself a bad thing--so I also wanted to throw him in the path of people in (roughly) the tradition of Raoul Wallenberg, who handed out Swedish passports to Hungarian Jews about to be shipped off by the Nazis. Helen DeWitt was born in a suburb of Washington, D.C., in 1957. 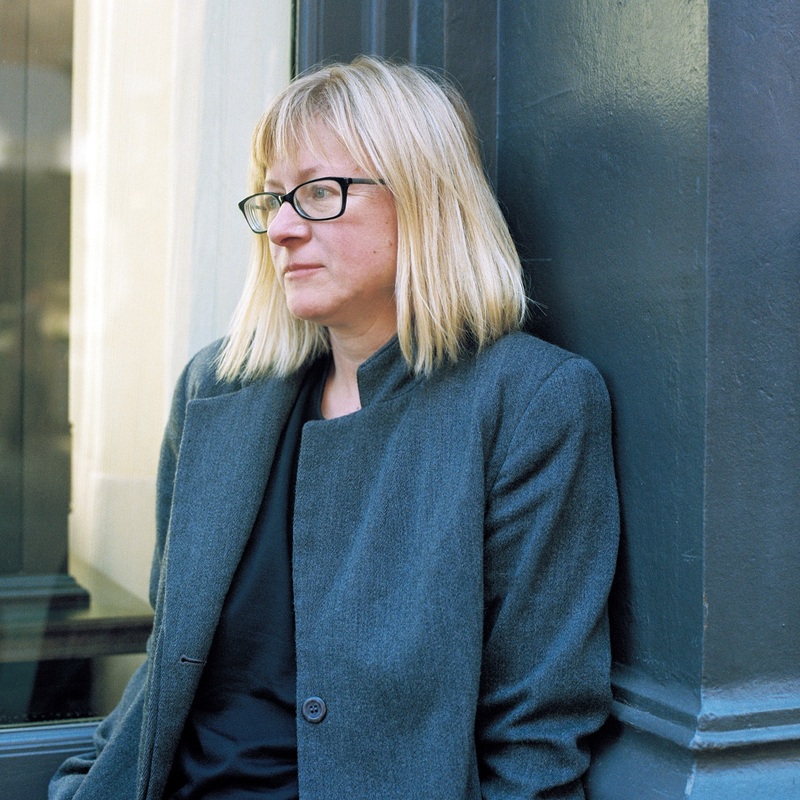 She studied at the University of Oxford and is the author of Lightning Rods (New Directions, 2011) and The Last Samurai (New Directions, 2016). Ilana Teitelbaum's writing has appeared in the Globe and Mail, the Los Angeles Review of Books, and Salon. Her epic fantasy debut, Last Song Before Night, was published in October 2015 by Tor/Macmillan under the pen name Ilana C. Myer.